A recent study brings a reality check on who is footing the bill for REDD+. The cost of putting REDD+ into practice may be falling into local hands. Photo: 401kcalculator.org. 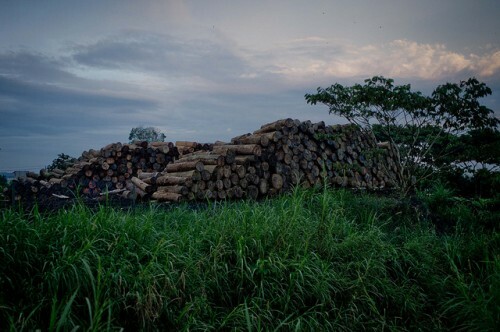 Local and state government institutions in the jurisdictions where REDD+ (reducing emissions from deforestation and forest degradation) is being implemented are bearing financial burdens, according to a study from the Center for International Forestry Research (CIFOR), which might threaten the scheme’s viability to scale up in the coming years. The study comes at a critical time for results-based finance – climate negotiators will soon gather in Bonn, Germany, to start laying the groundwork for execution of the Paris agreement. The main objective of REDD+ is to provide positive economic incentives to people in developing countries to conserve forests and thereby reduce greenhouse gas emissions. One of the key assumptions of REDD+ is that reducing carbon emissions from deforestation is cheaper than reducing emissions from other sectors, such as transport and energy production. If the costs of REDD+ are underestimated, then there is a risk that the price set for carbon won’t cover the real costs. Estimates of REDD+ costs have long been criticized for excluding transaction and implementation costs and undervaluing informal market activities such as subsistence farming. Read also Study: Who will bear the cost of REDD+? For more information on this topic, please contact Cecilia Luttrell at C.Luttrell@cgiar.org .